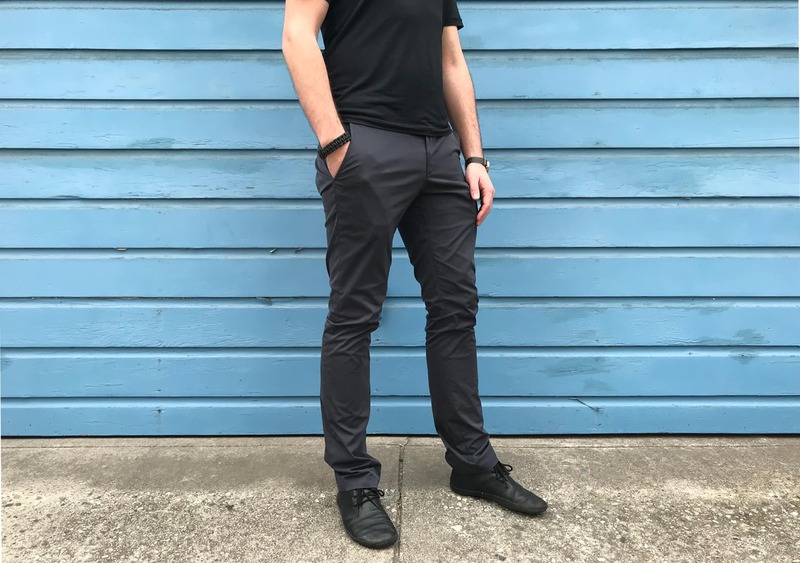 The Bluffworks Chino Travel Pants offer everything you want from a pair of travel pants and nothing you don’t—simple & stylish with a few extra features. Travel pants: a term that often conjures up horrifying images of cargo pockets, velcro, and god forbid, the dreaded zip-off cargo pants/shorts combo. For a long time, it seemed like there were only two options—live in comfort at the expense of your dignity, or make do with a pair of jeans. But times have changed! In this review we are happy to be looking at a pair of travel pants that look good, feel good, and are completely free of cargo pockets. 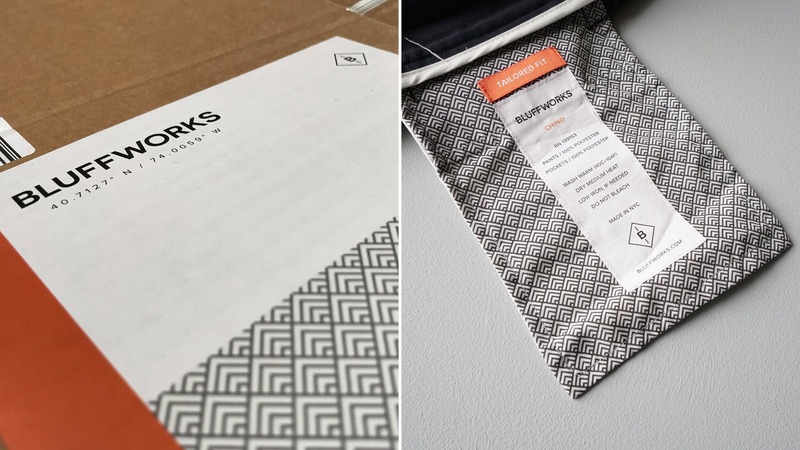 Bluffworks is a company that specializes in travel clothing that doesn’t look like travel clothing. They make a handful of pants, blazers, and shirts specifically designed for travel. We’ve been testing out the chino pants for about a month and a half now. They’ve seen some standard traveling and we’ve certainly found a lot to like about these “travel” pants. First and foremost, these pants look pretty damn normal. They’ve got that classic tight, chino look—which is helped by the fact that you can customize these to your exact fit. On Bluffworks’ website, you can choose the length and waist to the exact size you want, which includes both even and odd numbered sizes! Great for those of us who are on either the taller or shorter side of the spectrum. In addition to the custom sizing, there are two “fits” for these pants—tailored and regular. Regular is going to be a bit baggier while the tailored fit is “trim, but not skinny” with some added stretchiness for greater range of movement. We’ve been testing the tailored fit. One of the first things we noticed after putting these chinos on is that they are relatively shiny. They’re made of 100% polyester which makes them a shinier than cotton and also gives them a bit of that “swish” factor when you’re walking around. If you’re involved in a lot of stealthy activity—private detective, espionage sort of stuff—you may want to avoid these pants as the swishing could give you away to any potential threats. For the rest of us, it’s a minor inconvenience—and we’ve actually noticed that the swishing has gotten quieter over the course of a month or so of regular use. They’ve also gotten more comfortable as time goes on. Initially, they were a bit stiff but they’ve really softened up nicely after a couple washes and some regular use. As far as fabric weight goes, these are a bit lighter than your average pair of jeans. 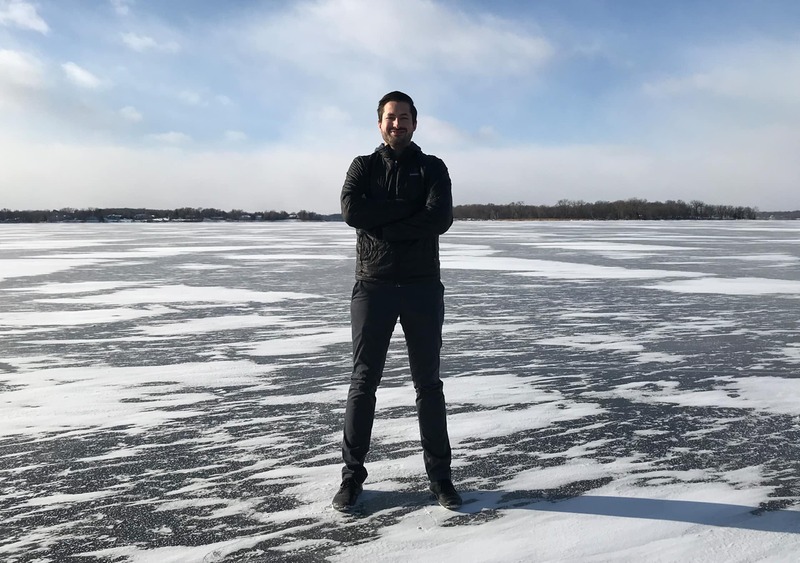 They’ll do fine in both hot and cold climates, but once you get to “extreme” temperatures in either direction you may want to look for something else. In the cold you could easily throw on some long underwear beneath these and be pretty toasty. The tailored fit definitely has a bit of “stretch,” which is nice. They’re relatively tight—but not skinny-jean level tight—and because they are stretchy they’re comfortable and easy to move around in. We’ve been testing out the charcoal chinos, but these pants come in a ton of different colors—charcoal, khaki, stone (gray), harvest gold, navy blue, and steel blue (a lighter blue). Just based on the reviews on Bluffworks’ site, it does sound like the lighter colors are a bit less resistant to stains than the darker colors. Sidenote: we generally opt for darker colors when it comes to travel clothes as they can easily hide stains—meaning more time in between washes if you’re on a real adventure with no washer & dryer nearby. You’ll also notice some patterns on the inside of the pants—the cloth pockets, labels etc. This is part of their overall branding, and you’ll see that pattern on their tags and even the box your pants get shipped in. We really like this branding—it’s right on that line of being a bit flashy but still fairly minimalistic. Let’s dive into some of the features on these pants. … Yes, features. On pants. What a time to be alive. In all seriousness, we’ve never been excited about “features” on pants before (have you?) 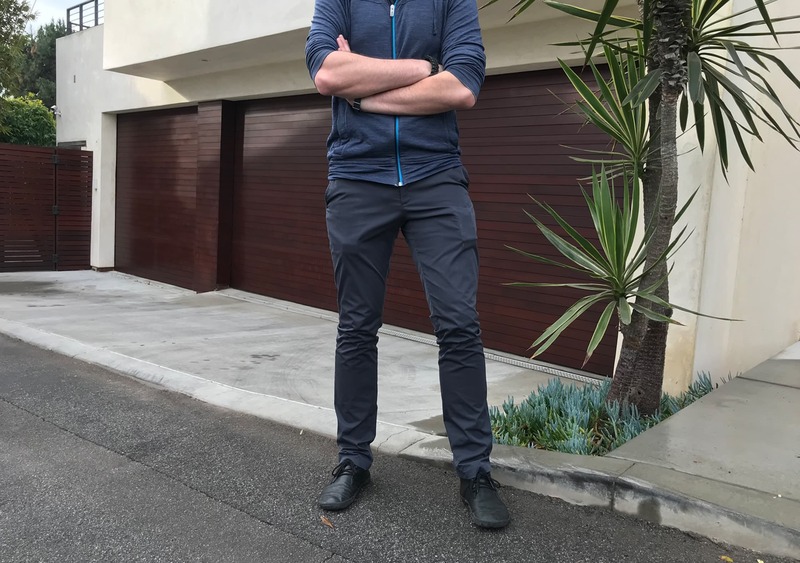 but we’ve been pleasantly surprised with what Bluffworks has been able to do with these pants without sacrificing that simple, minimalist style. We mentioned earlier that these pants are made of polyester, which gives them that shininess and swishiness. (Is swishiness a word? It is now.) The polyester is pretty durable, which is great for traveling. There are also a ton of other benefits that Bluffworks has listed on their site. Quite the laundry list there. Well, the good news is that the majority of these points are true! We really only have one main grievance, which is that these pants are most definitely not wrinkle-free. If you’re the type of person to just throw a pair of pants in your bag or your dresser, you’ll probably end up with a few wrinkles. Wrinkle-resistant would be a better term. So, you can go ahead and use their scientific washing method… Or, you could iron them on medium heat. Kind of like… normal pants? Let’s take a look at the many pockets—seven, to be exact—on these pants. Pocket #1: We’ll start with the right hand pocket. Pretty standard stuff here—not too deep but not too shallow, with a little security loop for clipping a wallet/phone if you want that extra level of security. Pocket #2: The second pocket is a smaller pocket inside of the first pocket. Good for coins or smaller objects—especially useful if you’re worried about something small falling out of your pocket when sitting down. This little one does present a few problems, though. It’s pretty hard to get your hand in there to fish stuff out—trying to get a small coin out of there could be frustrating. And it can easily get snagged while putting larger items—like a larger mobile phone— into the main pocket. If you really got tired of this you could cut this little pocket out or have a tailor remove it. We’ve gotten fairly used to it, though. Pocket #3: This is very similar to the first pocket—nothing crazy going on here. Pocket #4: Once again, we have another pocket inside of a pocket! This is a great feature—it’s a zippered (YKK) pocket behind/inside the third pocket and about the same size. It’s a little hard to find or notice, so this can be a great security feature if you’re worried about pickpockets. Pocket #5: Moving to the rear of the pants, on the left there is another zippered pocket. More security is never a bad thing. Pocket #6: On the right-rear, the sixth pocket is a very standard pocket. No zippers, good for a wallet if you’re not concerned about pickpockets. Pocket #7: The most low-profile pocket of them all. Right above/behind the sixth pocket is this stealthy seventh pocket. This thing is thin but very deep—meaning it is really hard to get into while you’re wearing the pants. While this might be a slight inconvenience, it is a great security feature. This is a great pocket to throw in some cash or items that you’d like to keep super secure. 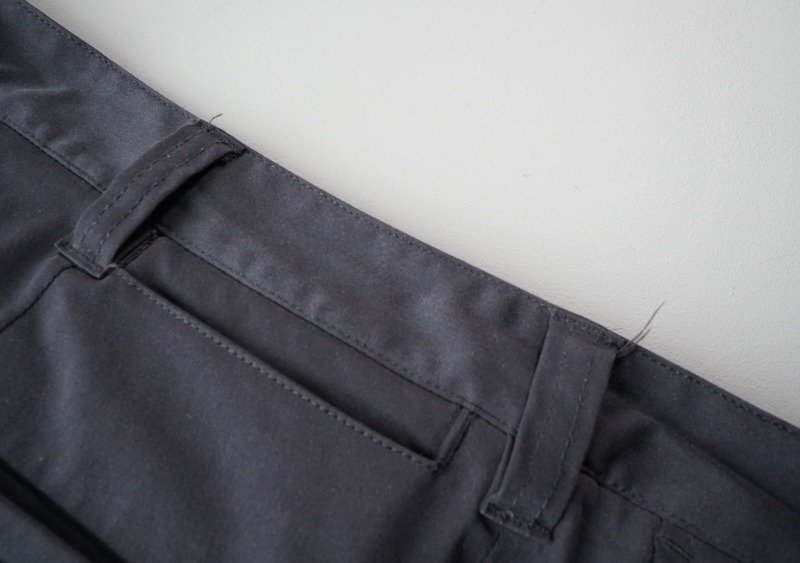 While it doesn’t have a zipper, it is very difficult to find this pocket unless you’ve used these pants before. In fact, it is a great place to store a few items even when you’re not wearing the pants. 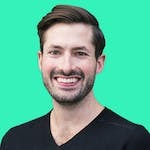 If you’re concerned about security in your Airbnb or hostel, for example, you could throw some cash in this little pocket and leave your pants in a dresser or even just lying on the floor. Even if someone roots through your pockets they are very unlikely to find this hidden one unless they know it’s there. As we mentioned previously, we’ve been testing these pants for about a month and a half. They’ve been in Minneapolis, New York City, Detroit, and Los Angeles so far. Initial impressions were, to be honest, not great. They’re pretty stiff when you first start wearing them and that swishing noise is really apparent. But after a few washes, they became a lot softer, more comfortable, and the swishing got a lot quieter. We’ve definitely found ourselves comparing these to the Outlier Slim Dungarees, which still hold the number one spot for our favorite travel pants—super comfortable, versatile, and they repel dirt and moisture very well. 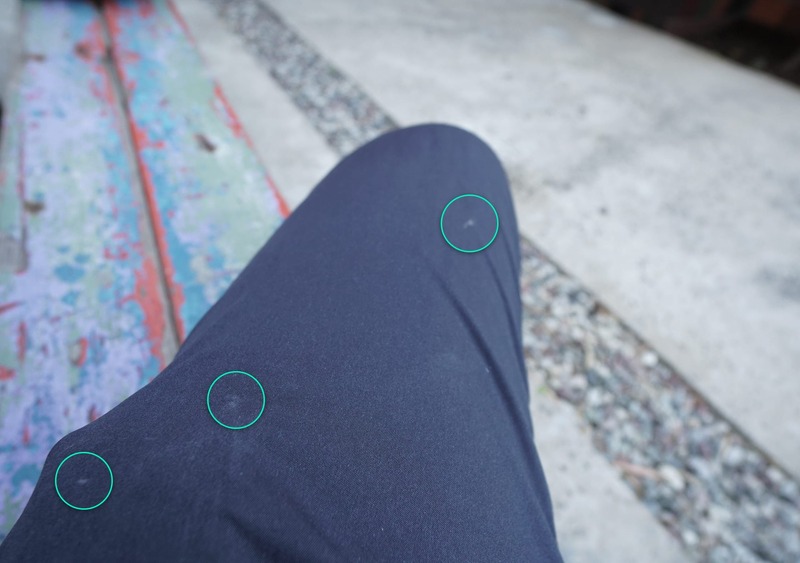 There’s a lot of similarities between the two pants, and while the Bluffworks might lose a few points in the versatility and moisture-repelling categories, it scores a whole bunch of extra points in the security and storage categories. There’s seven pockets on these things and they still look like totally normal chinos! Plus, half of those are hidden and/or zippered. Pretty unreal. 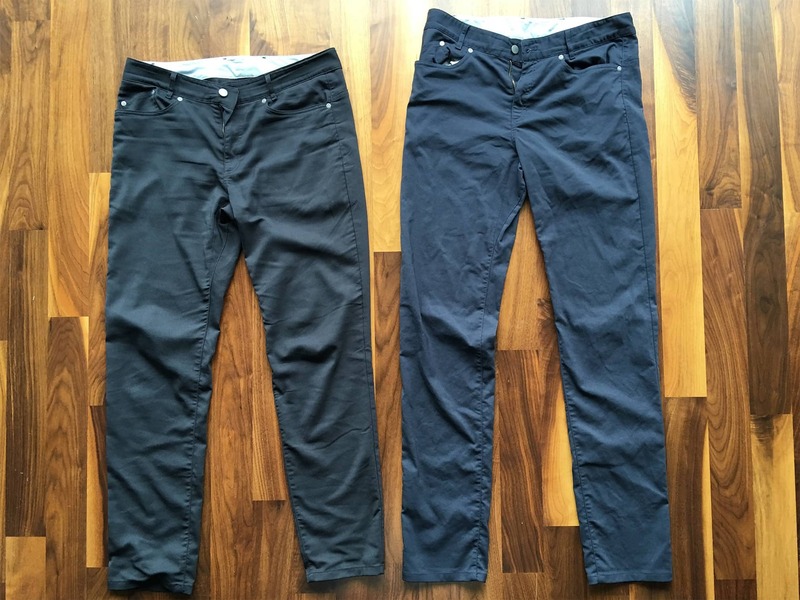 If security is a high concern for you, these chinos from Bluffworks should be on your radar. Stiff, lots of swishing. Hoping they’ll break in a bit. They’ve broken in a bit and don’t seem as “swishy”. More comfortable after break-in. They seems to attract lighter smudges & marks that disappear after wash. Still going strong and feeling more broken in! A couple loose threads showing up on the pants. 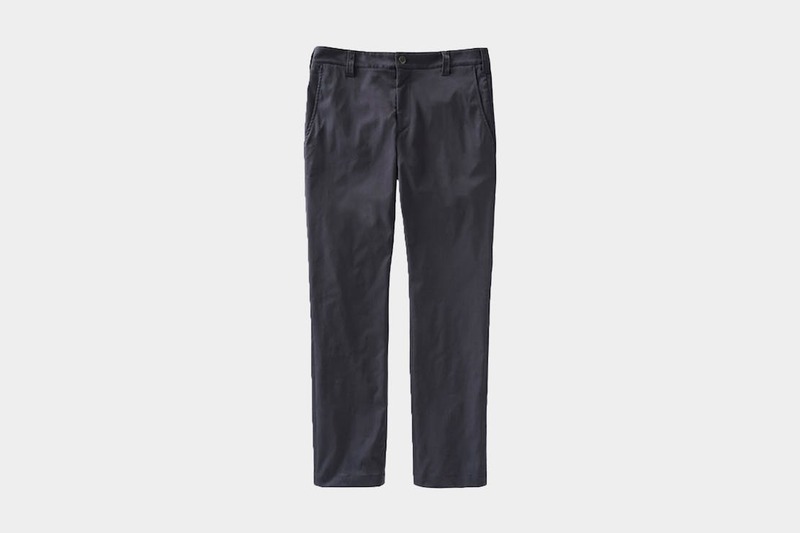 The Bluffworks Chino Travel Pants are a stylish pair of pants that are great for traveling. They’ve got everything you want out of a pair of travel pants without all the stuff you don’t want. Size and fit are customizable on Bluffworks’ website, and the pants also come in a shockingly-large variety of colors. Besides being a generally solid pair of pants, these are a great option for anyone who is concerned about security during their travels. 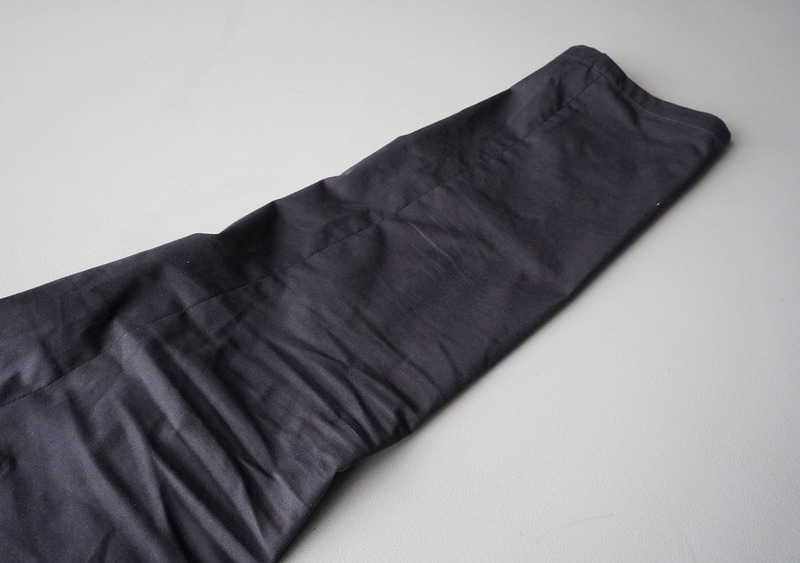 Our only complaints were the shiny and somewhat noisy nature of the polyester fabric, but if you can get past that these may just be the perfect pair of travel pants for you.